This episode came together out of love and gratitude. Quite literally, the piano music by Zoe Knight comes directly from a love song, and provides the musical structure of this episode. In working with the elements, my favorite Water devotional practice is gathering my own drinking water at a spring near my home, where the cleanest, most refreshing water Iâ€™ve ever tasted flows like love from the ground. I recorded the sounds of the spring (and a water blessing) on one of my recent trips, and itâ€™s a perfect sonic backdrop for this episode. 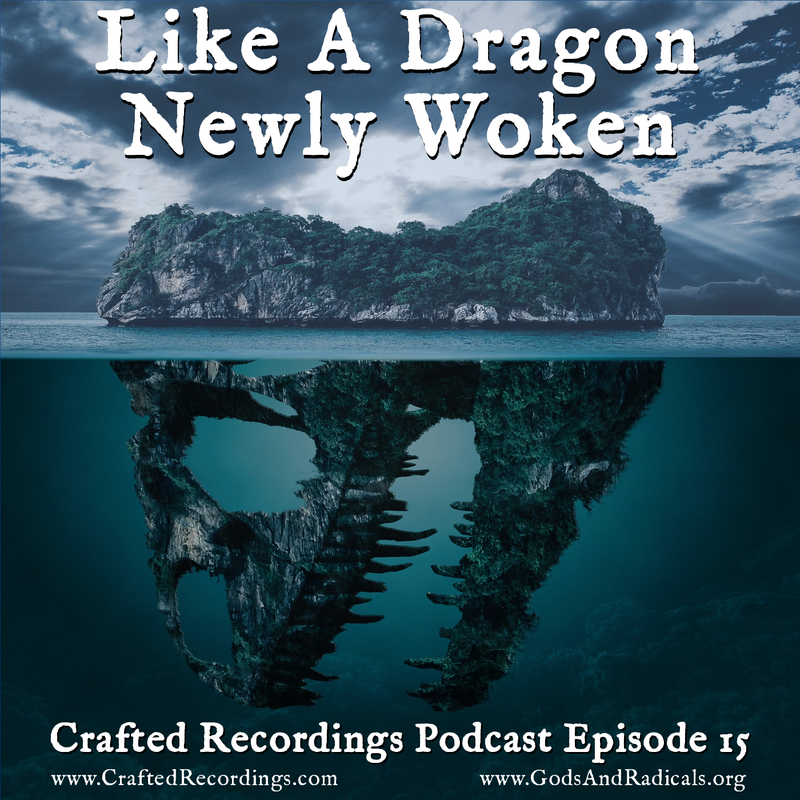 The brilliant “Like A Dragon Newly Woken” poetry & performance narrative comes from Guests of the Earth, a performance group in the UK consisting of Nicolas Guy Williams, Peter Dillon, and Gods & Radicals writer Lorna Smithers. They were kind enough to send me an original sound recording of their performance by Terry Quinn. The music in this episode is piano and vocalizations written & performed by Zoe Knight, with bass, guitar, drums, spring field recordings, production, and mixing by James Lindenschmidt. Sound recording ©2017 Crafted Recordings. Some Rights Reserved (CC BY-NC-SA 4.0).